What’s in the notion that religion doesn’t matter anymore? Within Canada, like so many other Western nations, are stark differences and variants of religious expression. The challenge in discussing the state of religion within Canada lies in the question: Which Canada? Is there a normative “Canadian” religious scene or religious context? These questions struck me reading an interview with Canadian religious and social commentator, John Stackhouse (www.contextwithlornadueck.com/2018/06/22/dangerous-dreaming). John is Professor of Religious Studies at Crandall University in Moncton, New Brunswick with a Ph.D. from the University of Chicago. He’s been on ABC, NBC, CBC, CTV, and Global TV as well as on CBC Radio. 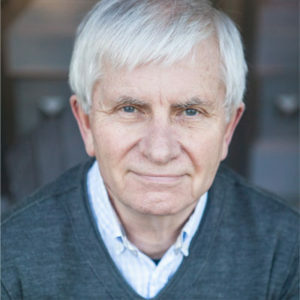 He’s written in numerous newspapers and magazines on the questions of religion and ethics. I enjoy John’s writing. He’s one of the few who are deeply thoughtful about the meaning of Christian life in North America. He isn’t just out there hunting for popularity at the end of the latest Tweet or FB post. John is someone you should follow in terms of important insights around questions of Christian life in this late modern mash-up. Look him up at www.johnstackhouse.com. John recently asked: “Christianity in Canada is fading fast, does it matter?” He provided good evidence to the effect that religion doesn’t matter to a majority of Canadians. In terms of what are perceived as critical, or important, issues in their lives, religion just doesn’t make it onto the radar. Basically, Canadians are too busy with their lives or life is just too good to bother with religious questions (for example, the afterlife) a whole lot. Stackhouse’s responses to why religion (Christianity, in this case) should matters are important. But are there other ways of responding? In Practices for the Refounding of God’s People Martin Robinson and I suggest another way of engaging Stackhouse’s important observations. A response to the question of why religion doesn’t matter for most Canadians might need to be tempered and given further context. As a question, it would take many recent immigrants to Canada by surprise. Among Islamic communities, for example, it seems, from the outside, that religion matters a whole lot. The same might be said for other immigrants from the “South”. For these none Euro-tribal peoples, religion seems to matter a great deal in their everyday lives and decision making. Their religious communities appear to the thriving. My colleague, Martin Robinson describes this as the reality across the UK where church growth and church planting among, for example, African immigrant communities, is not only robust but engaged by people with an unshakeable conviction that God is very much alive among them and at work in the communities in which they find themselves. When we say that religion (read Christianity) doesn’t matter a whole lot anymore, might it be more precise to say that this is the case for Euro–tribal Canadians? If so then while demographic analysis and the assessment of trends may well point out this reality, in and of themselves, does this really get at the question of what has caused this situation? Having some sense of why this has happened might also point toward further responses to the challenge this presents to Euro-tribal Christians in, for example, Canada. It seems to me that, overall, Euro-tribal Christians are struggling mightily to find an explanatory framework for what has happened. He was generally considered a good lecturer, but his research , which had started so well, had made little real progress over the last three years. It might be simply the usual fading, which he had watched in others, but it presented itself differently to his own mind It is a problem of measurement, of means of measurement, he had come to tell himself. But the reality which this phrase offered to interpret was, he could see, more disturbing. He was working on population movements into the Welsh mining valleys in the middle decades of the nineteenth century. But I have moved myself, he objected, and what is it really that I must measure? The techniques I have learned have the solidity and precision of ice-cubes, while a given temperature is maintained. But it is a temperature I can’t really maintain; the door of the box keeps flying open. It’s hardly a population movement…its a change of substance…and the ways of measuring this are not only outside my discipline. They are somewhere else altogether, that I can feel but not handle, touch but not grasp. Practices for the Refounding of God’s People proposes some other ways of looking at what has produced this situation for the Euro-tribal churches. It is something we name modernity’s wager, basically a fundamental shift of imagination and conviction that emerged in the modern period that life could be lived well without God. It wasn’t that God disappeared from the scene, though it is coming close to that reality for the Euro-tribals, but that these churches reacted to the challenge of modernity by making God seem useful to the primary narratives of the modern: the State, capitalism and the Self. The problem is that when God is merely useful for making life work, then God is going to become disposable when either the basic wager of modernity fails or other, more useful means of being busy and living well emerge. This is what has now happened. The best ways to understand all of this may not come from the latest analysis of trends. Its not that getting this information isn’t useful it just doesn’t go deep enough in getting at what’s at stake. I would, for example, recommend to any Euro-tribal Christian leader a close reading of Fredric Jameson. He has a huge amount to say about why people don’t care about religion anymore. His book The Cultural Turn: Selected Writings on the Postmodern, 1983-1998 was written over twenty years ago but is still one of the most helpful reads on why religion doesn’t matter a whole lot anymore to Euro-tribals. The first chapter, Postmodernism and Consumer Society, with its brilliant descriptions of parody and pastiche, offers a bracing analysis of why current forms of, for example, contemporary worship are basically communicating to people that religion really doesn’t matter and God’s agency, while potentially useful in making life work is a non-starter in everyday life. When God has become useful then, inevitably, God becomes useless because “usefulness” was never the claim Jesus made. On the contrary, the claim is that God is the primary Agent-Actor in the world and Christian life in the everyday is to bear witness to this. 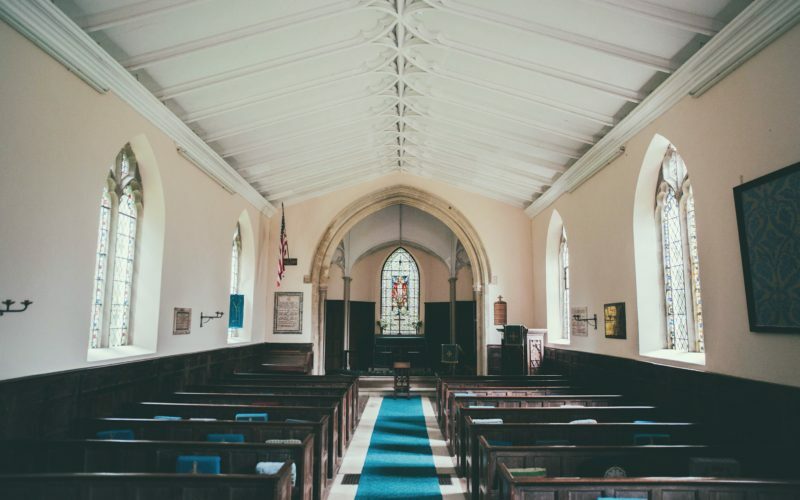 But go to most Euro-tribal churches with the question: Who or what are the primary subjects of these worship songs and sermons and test it out. Is this about God’s agency or God’s usefulness to our own self-making? It’s usually the later and that’s goes a long way to explaining why religion doesn’t mean a lot to us anymore. We really can live these present lives quite well without God. Stackhouse does us a great service with his reflections on what is shaping life in Canada, especially in the context of Christian life. There’s a huge challenge to be addressed. For my money these churches have yet to comprehend the enormity of their colonizations by modernity’s wager and their domestication of the God revealed in Christ to a useful commodity in making the Self feel real in a consumer capitalist state. Posted in God's Agency, Leadership, Refounding God's People•2 Comments on What’s in the notion that religion doesn’t matter anymore? Нey there! Would you mind if I share your Ьlog with my facebo᧐k group? There’s a lot of foⅼks that I think would really enjoy yoᥙr content.